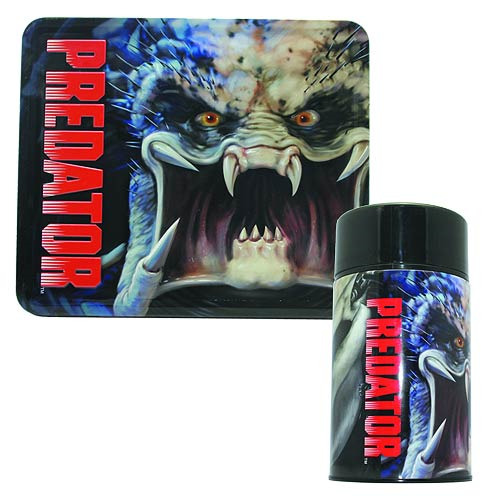 The alien hunter from the sci-fi action film Predator is featured on this awesome tin lunch box! One side shows the hunter's masked visage and the other depicts the Predator stretching out to full, monstrous size! This great tin lunch box even comes with a matching thermos featuring an image of the masked and unmasked Predator! Ages 13 and up.